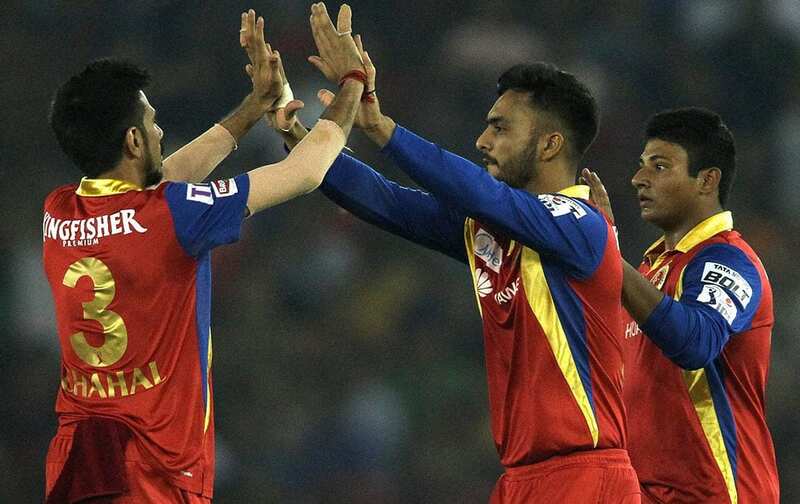 Yuzvendra Chahal of the Royal Challengers Bangalore congratulates Mandeep Singh of the Royal Challengers Bangalore for taking the catch to get Wriddhiman Saha of Kings XI Punjab wicket an IPL match in Mohali. Wriddhiman Saha of the Kings X1 Punjab with Manan Vohra during IPL 8 match against Royal Challengers Bangalore in Mohal. 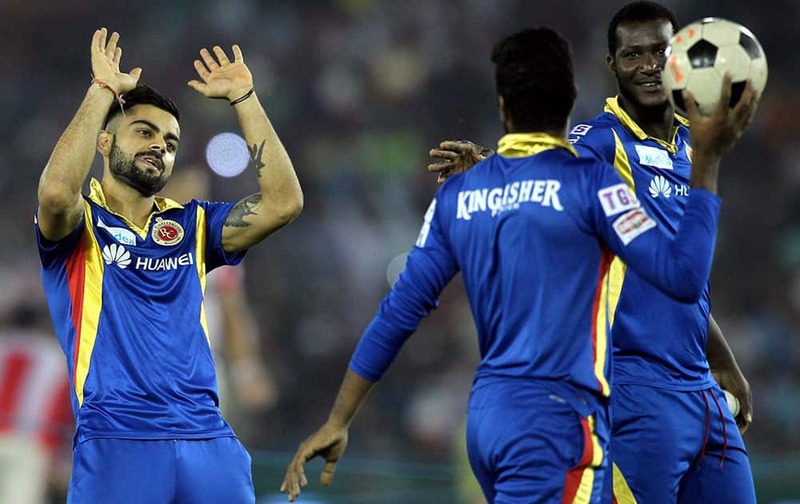 Royal Challengers Bangalore captain Virat Kohli plays one bounce with his team mates as rain delays the start of an IPL 8 match against Kings XI Punjab in Mohali. 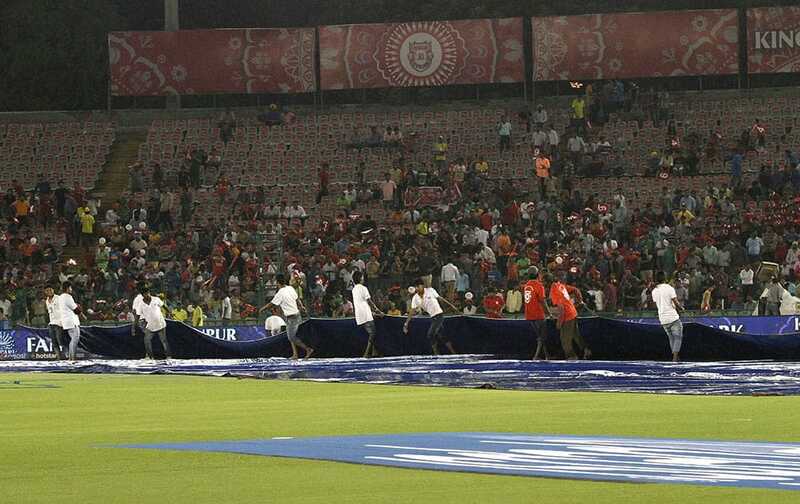 Ground Staff bring the covers on during IPL match between Kings XI Punjab and Royal Challengers Bangalore in Mohali.